Certain people in history have tried to change the current political climate. They make an effort to reverse the trend and push the tide in another direction. Sometimes in their effort to change their corner of the world, they meet with resistance and hate and are killed along with their goals and ideas. Such is the case of Anwar Sadat and Yitzhak Rabin. 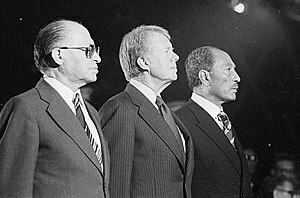 Sadat was the leader and military hero of Egypt and Rabin the Prime Minister and Defense Minister of Israel. Both leaders played an important role in the formation of their country’s development and status in the world. A military lieutenant, who obtained a Fatwa (an opinion) approving the assassination, cut down Sadat and several others on the stand during a victory parade on October 6, 1981. A far right-wing religious Zionist who despised the Oslo Accords signing killed Rabin during a rally supporting the Oslo Accords on November 4, 1995. Despite the best efforts of people who have a chance to make a difference, there are others who want to create disharmony. Anwar Sadat served as President of Egypt for 11 years and during this time he moved away from the principle of Nasserism by promoting the multi-party government system and changing the economic policy. He was a member of the Free Officers Group that overthrew the Muhammed Ali Dynasty in 1952. He assumed the Presidency in 1970 after Gamel Abdel Nasser. He led Egypt in the October War in 1973 against Israel. Afterwards he engaged in peace negotiations with Israel and signed the Egyptian-Israeli Peace Treaty with Israeli Prime Minister Menachem Begin in 1979. This earned him the Nobel Peace Prize. This led to Egypt and Sadat becoming unpopular within the Arab community and the Arab League, despite wide support among Egyptians. Sadat was breaking away from pan-Arabism espoused by his predecessor, Nasser. In addition, he was moving away from the USSR as an influence and towards a more friendly relationship with the United States. All of these events led to Lieutenant Khalid Islambouli leading a charge toward the VIP stand during the annual victory parade and assassinating Sadat along with several others including a Cuban Ambassador and an Omani General on October 6, 1981. Vice President Hosni Mubarak and four US military liaison officers were wounded in the barrage of gunfire. Islambouli was sentenced to death and executed in April 1982. Hosni Mubarak assumed the duties as President after the assassination. Sadat’s funeral was attended by three former Presidents (Ford, Carter, Nixon). during his second term due to a far right religious Zionist who was angry about Rabin’s peace negotiations. Yigel Amir, a law student, fired several shots at Rabin after a rally in support of the Oslo Accords at the Kings of Israel Square in Tel Aviv on November 4, 1995. Rabin died at the hospital less than an hour later. 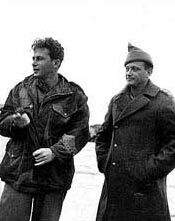 Rabin was a fighter for Israeli statehood from the beginning. He rose to take command of the Heral Brigade in the military and served as an Israeli General. Under his command of the IDF, the Israeli gained significant ground against Egypt, Jordan, and Syria in the Six Day War in 1967. During his first term as Prime Minister, Rabin successfully ordered the rescue of hostages by an Israeli commando unit after an airline hijacking in Entebbe, Uganda, on July 4, 1976. According to many theories, the assassin Amir had come to believe that Rabin was a rodef, meaning a “pursuer” who endangered Jewish lives. Amir believed he would be justified under Jewish law by killing Rabin and removing a threat to the Jews. Apparently, this is a misinterpretation of the law. The law applies to removing a “pursuer” where they may be a threat to an individual. Moreover, the law does not apply to elected representatives because if a person removes the elected official, that person would have to remove each voter who elected the government official. The assassin acted under flawed logic and reasoning concerning Jewish law. Thinking about it, most assassination attempts begin under flawed logic to begin with, except in the cases of taking out someone who is evil personified such as Adolf Hitler. Rabin was buried the day after the assassination on November 6, 1995, at the Mount Herzl Cemetery in Jerusalem, where 80 heads of state attended the funeral. 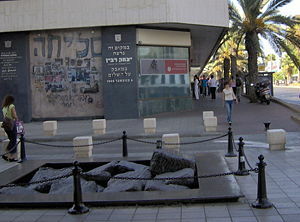 A monument to Rabin rests at the location of the assassination. The monument erected with broken rocks that represent the political destruction the assassination brought to the peace process. In other notes concerning the assassination, Rabin’s pocket carried a blood-stained paper with the lyrics of an Israeli song “Shir Lashalom” (“Song for Peace”). The song was used at the rally and outlines the futility of bringing a dead person back to life. This means that peace should be foremost in everyone’s mind. The Knesset has set the 12th of Heshvan, the assassination date according to the Hebrew calendar, as the memorial day of Rabin. What is your opinion? Make a comment and I will respond. 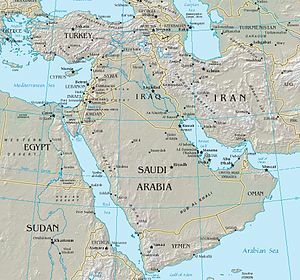 This was a great blog due to what is currently going on in the Middle East. Pingback: הקונספירציה לשחרור יגאל וחגי עמיר « אני נגד. ככה. הבלוג של זיו. Such brave efforts make me weep, because the valor of a few is always overwhelmed by the horrible forces that make this rock and wall forever bleed.